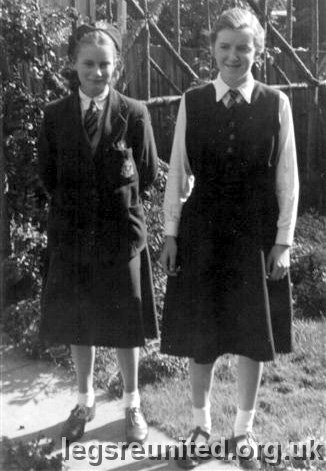 The two girls are Marianne Ecker (on the left) and Celia Earnshaw, aged about 13 I think. The photo was taken by Celia's father in their garden in Norfolk Road. (1956?) Comments from Celia.